Alistair Williams describes his comedy style as the ramblings of a moron. 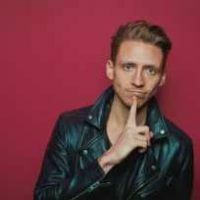 He must be doing something right though as he is highly regarded as one of the most exciting newer acts on the UK comedy circuit. An observational storyteller, Alistair has been performing stand-up for just under two years; rising through the ranks at a rate of knots excelling in any situation he is put in. After winning the Piccadilly Comedy Club’s New Comedian of the Year 2014 award and reaching the finals of prestigious competitions (Amused Moose Laugh Off, Leicester Square New Act and Laughing Horse New Act) Alistair is already on his way to the top. Combining high energy with a super charismatic stage presence, Alistair is one of those rare commodities in the comedy world with his consistent ability to produce new material of the highest standard. However long his set, it is sure to be packed with gags from start to finish; he is a genuine joke machine.